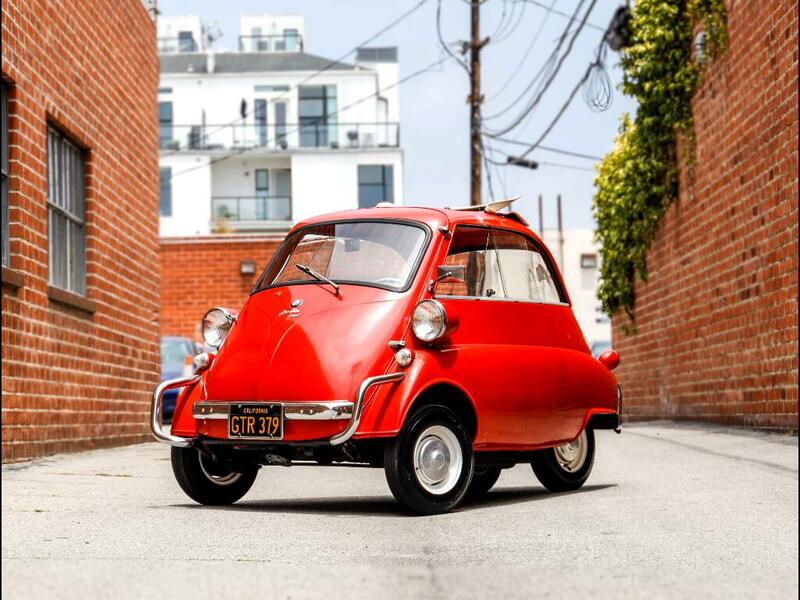 Chequered Flag International is pleased to offer this 1958 BMW Isetta 300 Coupe in Red with Grey interior. 34001 miles. Fantastic patina on its original paint - scratch on drivers side. Stored for many years. Runs and drives and has had the basics taken care of including a total brake overhaul with four new drums and new tires all round. Just has a new David Raab interior kit fitted. Original everywhere including of course its original 18.2 cubic inch engine. There is no roof rack. This is a very honest and correct Isetta - cant be many left this original and good. Inspections encouraged. All sales AS-IS. Sales tax and license fees due if delivered in California. Message: Thought you might be interested in this 1958 BMW Isetta.